The distinct smell of the postmodernist masterpiece, ‘Perfume; The Story of a Murderer’, by Patrick Suskind, is hard to forget. Equally difficult it is to miss the unmistakable similarities of Morgan Fleetwood’s debut novel ‘The Skin Room’ with Suskind’s story. Both the protagonists, Jean-Baptiste Grenouille and Alex Melville, are in search of a personal identity; one which seems true. Their motives are born of the lack of maternal attention, and their urges driven toward seeking out the elusive essence that makes them. In a more cinematic sense, this book reminds one of the ‘Psycho’ too, with a macabre meticulousness that made the 45 seconds long shower scene unforgettable. 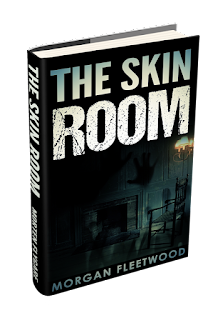 ‘The Skin Room’ reminds you of some of the suspense thrillers that preceded it, but it hooks you at the edge of your reading chair with its own stamp of screams, suspense, secrets and spiraling ennui. The document that Alex, a multi-lingual translator and murderer, is writing forms the narrative of the novel. Like a diary, if you may. His blood-stained and action-packed account, as well as his confession to killing Valentina, is addressed to an Inspector. It is this Inspector that Alex holds responsible for his sister Sonia’s death, who Alex spends most part of the story looking for. The book begins in a ‘bad part of town’ where Alex is looking for a ‘bad girl’ and ends in Sonia’s apartment, where Alex reaches his ‘final incarnation.’ Between the first scene and the spectacularly disturbing climax three things don’t let up – points of suspense with the imminence of something to come, sudden twists in the tale and Alex’s strange, strange voice in our heads. The points of suspense oscillate between action and thought, bloody deeds and memories. There is always a ‘maybe’ trailing Alex’s every move, and one sitting lodged in the reader’s head. 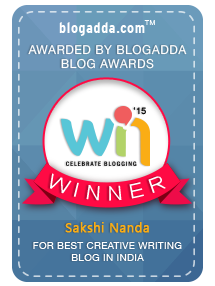 A preparedness for a surprise twist, yet none the less exciting for coming in unfailingly. Unexpected arrivals and departures, blunt hits and sharp misses are a constant. But what is most unexpected? ‘I wanted to have her, and I was had, by her. L’arro seur arose.’ The hunter turns hunted. The murderer gets soaked in his own blood. It is around this axis that the plot flips, and rotates. Sometimes, we gallop from one scene to the next, travelling between cities or in and out of rooms with equal speed. Contrarily, Alex slows down the pace so much sometimes that we want to nudge him to move on. Because any more guess-work to do with, say, his father’s dementia (Does he know? Does he remember there was a woman Alex brought into the house?) frustrates the reader. Any more tardiness in unravelling his next move in the cave with Valentina suffocates. Just another minute’s delay by Sonia’s boyfriend in telling Alex about her whereabouts makes our lungs burst. We readers are impatient pawns in the hands of the narrator’s clock. Maybe because we have tasted blood. And surely because of how Fleetwood decided to create Alex and his voice. Alex, the ‘humble translator with a unique obsession’, ends up opening the widest window to his own mind – not just its bloody deeds and ‘filmic rushes’ of ‘peeling the skin away’ but also its follies, frailties, fears and failures. His narration is not conceited, because he is not. You will catch him looking at his hands, asking, ‘were they capable of murder?’ while on the next page all doubts would have been laid to a dark rest. In that, Alex is a “different” kind of a criminal, crisscrossed with contradictions, doubt and helplessness. Remember Grenouille’s utter confidence in seeking a scent? Alex has none of that. While the former moves ahead testing his limits, Alex gets his limits tested, instead. No doubt he is a sick person, with pouches full of his mother’s and sister’s nail clippings, satisfying an ‘illness’ he recognizes as just that and finding ‘a favourite comforter’ in a dream where Sonia scrapes her knee, and ‘the exposed layer, the pinkness...a revelation to me.’ However, his mind often surprises itself, catching itself off-guard, with its calmness or its rage. His is a mind which is as much trying to unravel itself as it tries to unravel the events for ‘Inspector Sin’. And for us. So you too may wonder - Is he actually a wielder of his sickness or its victim? No, you won’t feel sorry for him. But you will fail to not see in him a human being, a brother, an ignored sibling wanting to be ‘cradled. Kept.’ As if he is one from amongst us, turned thus circumstantially. A ‘monster capable of reflection’. The final chapters see him spiraling into a very dark labyrinth of thoughts, spectacularly put together with nuanced madness and a breathless loss of method. His acute perception of and documentation of both people and events which occupied the narration till now are replaced by his turning within, many moments of mindless acts looking for an order; alone. The dizzying sequences culminate in blood and a terrifying ‘living work of art’ that makes your gall rise, but takes your breath away. 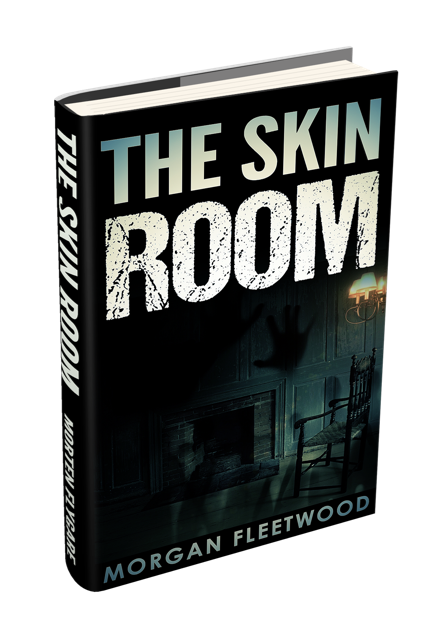 ‘The Skin Room’ by Morgan Fleetwood is a well-written thriller. If it is just shy (by the skin’s thickness no more) of being great, it is because maybe the time has come to think of better motives for male derangement than a lack of maternal love. The mother-angle has been done to death in countless movies and books! It is Alex’s parallel (though related) need for becoming his ‘authentic self’, to find his ‘underlying solidity’, which firmly puts the ‘why’ back in this ‘whydunnit’ and turns revenge to a resurrection. Alex is the character you want to turn inside out. His psychological drama is the heart, the hands, the very flesh that makes this book what it is. A good one! 'The Skin Room' by Morgan Fleetwood is published by Howarth Press, 2017.